As our lives change, our needs for insurance change with them. The universe has been in a constant state of change for 13.8 billion years, and will continue to do so on time scales that we simply cannot imagine! It goes without saying that our human lives go through many stages as well: from the time that we are born to the time we go back to the Earth. Many of us are insured to financially protect ourselves from risk, and those contracts are designed to meet the specific needs of our life in the present. As time moves forward, and our lives change, these needs become outdated and must be altered with current requirements. Here are questions you should ask, and why to ask them. Have you recently gotten married or divorced? Homeowners Insurance: If you and your spouse are going to purchase a new home, you best make sure your inventory includes both of your assets and that you have enough coverage for this new home. 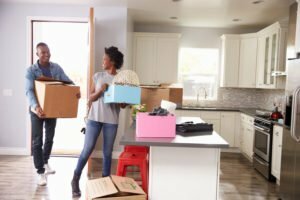 If you have recently gotten divorced and are moving out, make sure you change your policy to reflect your new home needs. Any new additions to the family? Life Insurance: If you’ve had a baby recently (either through birth or adoption), life insurance is a must. If anything were to happen to you how would your family cope financially? From diapers to college tuition, children are expensive, and life insurance may be able to cover these expenses. As our lives change, we need to make sure that our insurance policies change with them–for better, or for worse. To have the peace of mind that you deserve when it comes to your home, get in touch with your Pierce Insurance Group agent and contact us today for an all-encompassing homeowners insurance policy in McKinney, Texas.